File image of an Apple Watch. Window shopping and buying an Apple Watch won't be easy. First of all, if you want to try one on, you likely need an appointment. If you want to buy the $349 to $17,000 watch, you also must make an appointment. Although the sales officially start April 24, preorders begin on April 10, coinciding when Apple customers can try on the devices, according to CNET. Apple has also confirmed that sales will only be "make through a reservation system." Trying on an Apple Watch is also not a given and will potential buyers will need to set up a fitting appointment -- unless the Apple store is empty, which is highly unlikely since many probably made an appointment already. For those who reserved the Apple Watch, they will pretty much be locked into their choice because it's likely "there probably won't be additional inventory on hand to alter your order if you change your mind." The same goes for people ordering the watch online and shipping it to their residence. There also are some differences between trying on the pricey Apple Watch Edition and the other two models. When signing up for an Apple Watch fitting, you have to specify whether you're interested in Apple Watch/Apple Watch Sport or the gold Apple Watch Edition. Edition customers will have a different experience, including having the fitting in a separate, designated area, Apple confirmed. Reserving watches is likely to cut down on unnecessary inventory (a $17,000 watch isn't as easy to move as a $399 iPad Mini) and could be to offer a personal shopping experience. For those who want to forgo all of this, they can try renting an Apple Watch for a week from Lumoid. 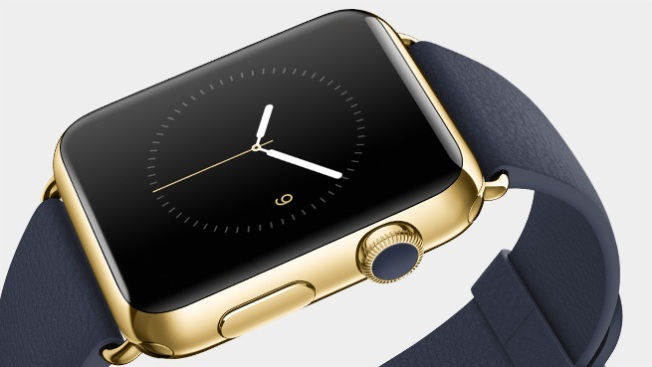 Users can try on the watches and even refunds part of the cost if the person decides to buy an Apple Watch. The Sport model is $45 a week, with $25 going to the ultimate purchase, and the regular Apple Watch is $55 a week, with $30 going to a final purchase. Wisely, Lumoid isn't offering the $17,000 Edition version. The Silicon Valley startup already has several thousand people on its waitlist.